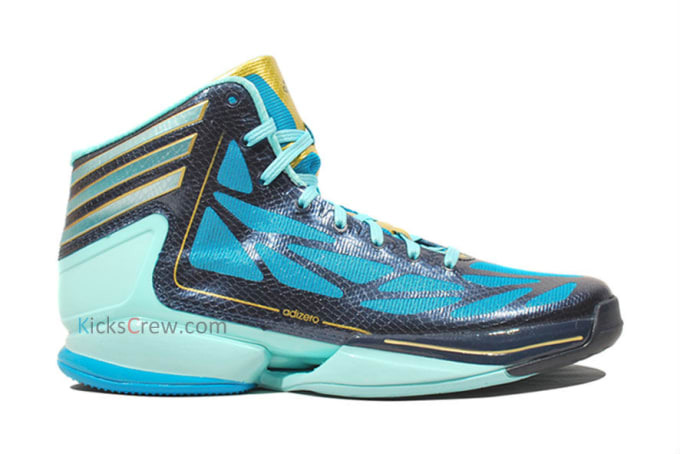 Now shifting the focus to its performance range, adidas is scheduled to drop off a Year of the Snake edition of one of its hoops silhouettes, the popular adizero Crazy Light 2. The SprintSkin sneaks showcase a unique snakeskin effect throughout the upper, which bears a mixture of blue shading, complemented with yellow trim. To find out when the Crazy Lights will be hitting adidas accounts, be sure to keep it locked to &apos;Plex.